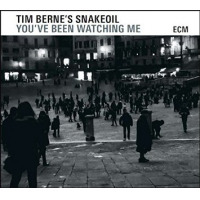 Saxophonist Tim Berne's usual comfort zone (to the extent he ever really gets comfortable!) lies in smallish groups. Some of his best material has been performed in quartets and sextets. But on Open Coma, he throws the gates open to the Copenhagen Art Ensemble, whose 11 members mix with Berne's long-time collaborators Marc Ducret and Herb Robertson. The big band does his music justice. In the grand tradition of free jazz big bands, Open, Coma occupies precious space between arranged themes and wide open improvisation. At times it's hard to detect much arrangement at all, and at others there's clearly a sense of order. Berne, Ducret, and Robertson each play major roles as soloists, but as often as not they yield to the members of the Copenhagen Art Ensemble. This group, conducted by Ture Larson, has no trouble navigating the waters of freedom. In fact, some of the choicest moments on this set arise when the CAE members engage in spirited conversation. This recording also presents an exception to Berne's usual hard-edged approach to composition and performance. Rather than bustling in and around quirky rhythms, these tunes tend to emphasize texture and space. Sure, there's plenty of energy at times, but there are also plenty of quiet, reflective moments. The first half hour of "Eye Contact," for example, offers generous space and some tastefully lyrical playing. Berne lends his voice here, sounding as soft and engaging as he's been on record. But there's more. As the group rolls off a horny arrangement halfway through the title piece, Marc Ducret steps in to deliver a sharp electric improvisation that travels through free space and eventually returns to support the big-band reprise. Somehow, despite the changes of scenery, it all sounds very connected. 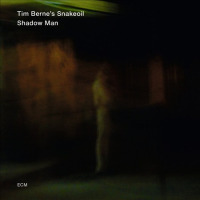 In many ways Open, Coma represents a new approach for Tim Berne. Never one to get too comfortable in any given place, he's taken a risk here by blowing up the size of the group and opening up its sound substantially. It pays off. Visit Screwgun Records on the web. Track Listing: Disc One: Open, Coma; Eye Contact. Disc Two: The Legend of P-L; Impacted Wisdom. 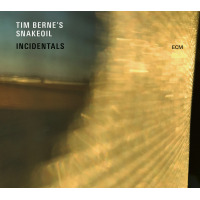 Personnel: Tim Berne: alto sax; Lotte Anker: soprano, tenor sax; Thomas Agergaard: tenor sax, flute; Peter Fuglsang: clarinet, bass clarinet; Herb Robertson: trumpet; Lars Vissing: trumpet; Kasper Tranberg: cornet; Mads Hyhne: trombone; Klaus Lohrer: bass trombone, tuba; Thomas Clausen: piano, fender rhodes; Marc Ducret: guitar; Nils Davisen: bass; Anders Mogensen: drums; Ture Larsen: conductor.